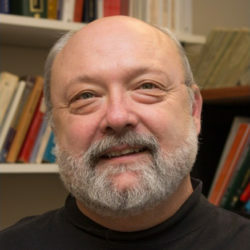 Dr. Blank’s primary affiliation is with the Center for Mental Health Policy and Services Research in the Psychiatry Department, and he also holds appointments as a senior fellow at the Leonard Davis Institute for Health Economics and the Schools of Nursing at Penn and the University of Virginia. He serves as co-director of the Behavioral and Social Sciences Core of the Penn Center for AIDS Research (CFAR). He has over 50 peer-reviewed publications and a recent book, HIV: Issues with Mental Health and Illness (Haworth Press, 2007). He is also on the editorial board of journals including Psychological Services, Journal of Community Psychology, Community Mental Health Journal, and Journal of Rural Community Psychology. Michael Blank, Associate Professor of Psychology in Psychiatry at the Center for Mental Health Policy and Services Research in the Perelman School of Medicine at the University of Pennsylvania, received his M.A. and PhD in psychology from the University of Virginia. Dr. Blank’s focus is on the integration of health and mental-health services delivery systems, including treatment for co-morbid illness such as HIV/AIDS. Other areas of interest include informal care and its impact on consumers and families, rural mental health, ethics in prevention, and applications of technology and computer-assisted care in mental health service delivery. Dr. Blank holds appointments as a senior fellow at the Leonard Davis Institute for Health Economics, and the Schools of Nursing at Penn and the University of Virginia. He also serves as co-director of the Behavioral and Social Sciences Core of the Penn Center for AIDS Research and has been a member of the Institutional Review Board of the Philadelphia Health Department since 2002.